The traditional gas supply method within the industrial and scientific industries is with a bulk supply. Facilities have been using bulk delivery for decades and therefore many facility and operational managers do not know there are alternative gas supply methods simply because they are following suit with how their predecessors and facility have always supplied gases. The scientific industries have converted from bulk gas contracts to on-site nitrogen gas generators much faster. 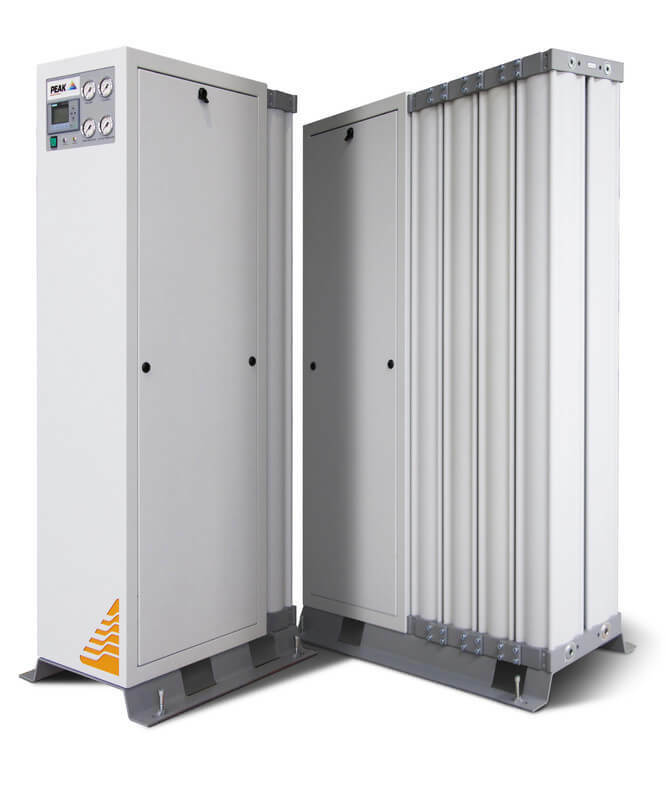 Peak Gas Generation's sister company, Peak Scientific, has been the favored supplier of laboratory grade nitrogen, hydrogen, and zero air gas generators since Peak started in 1997. However, due to long and strict contracts that are hard to opt out of, the industrial manufacturing sector has been limited in how quickly they can switch over to gas generators. The challenge is to change people’s frame of mind and teach them that there are alternatives to getting your nitrogen from a local supplier. Almost every single user of nitrogen has been getting their nitrogen delivered to them on a daily basis or they are renting a bulk tank and they have been doing so for years. A more cost-effective solution to getting nitrogen would have been to repurpose all the money going towards those invoices and to reinvest it in the company’s infrastructure and business instead of an outside supplier. The best alternative to cylinders is the maufacturing scale i-Flow nitrogen gas generator. However, how do you change the minds of decision makers and make a nitrogen gas generator as common place as bulk supply once was? While it may seem cost-effective to get a contract for cylinder gas service and easier to fit into your facility budgets, a nitrogen gas generator will provide you with a quicker return on investment and a better alternative to cylinders. When you calculate your return on investment, the numbers speak for themselves: the cost of nitrogen cylinders is drastically more expensive than the cost of a nitrogen gas generator. A nitrogen gas generator will pay for itself anywhere between six months to twenty four months whereas bulk supply is associated with ongoing costs and contracts. With the one-time purchase of a nitrogen gas generator and minimal annual maintenance fees, you are able to repurpose the funds once spent on bulk supply and reinvest them in your company and get new production lines, upgraded equipment, or hire new skilled employees which will help your business grow. When you need compressed air to run your equipment you don't call a supplier to set up a weekly delivery schedule, you buy an air compressor. When you need nitrogen don't pay someone else to generate it and bring it to you when you can be making it for yourself with a nitrogen gas generator.